One reason for the lack of pensions awareness could be the system’s perceived complexity. Just getting to grips with the financial jargon associated with pensions can be a hurdle for many people looking to plan for their retirement. 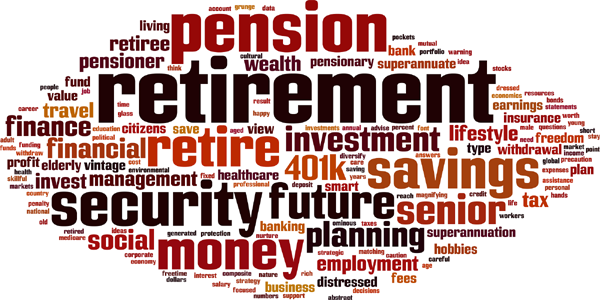 If you’re feeling perplexed by pensions, here we explain a few commonly-used terms. A type of pension that pays a retirement income based on your salary and how long you’ve worked for your employer. Final salary pension schemes are probably the best-known type of defined benefit pension scheme – but many have now been phased out. With this type of pension, the idea is that you build up a pension pot based on contributions from you and your employer, plus any investment returns. You then use this money to provide yourself with an income when you retire. The world has changed considerably in recent years, and the idea that a person has just one or two jobs in their lifetime doesn’t really ring true for many people. As a result many people will have amassed a number of different pension pots through various employers,over their working life. Consolidating these into just one pot is therefore a useful way to keep an eye on your investments in one place. These are known as pension transfers. Today’s mobile job market means you have the option upon leaving your employer to transfer your current pension pot. The pension administrator or provider will provide you with a transfer value that includes any benefits accrued. It’s important to consider any guaranteed benefits that you may be giving up prior to transferring any pensions. At retirement, you can choose to take some or all of your pension pot as an annuity, an insurance product that provides a guaranteed income for life. Annuities provide security, and unlike other retirement income products, with the exception of investment-linked annuities, you aren’t exposed to stock market risk which could erode your income. However, should you die early, the residual value of the annuity dies with you; there is usually no return of capital to your estate, though a joint annuity will continue paying income to the survivor. This is a way of using money accumulated in your pension pot to provide you with a regular retirement income by reinvesting it in funds specially designed for this purpose. The income you will receive will vary depending on the fund’s performance, and isn’t guaranteed for life. Be aware that taking too much too early could leave you without an income for later in life. Once you reach the age of 55, you can take 25 per cent of your pension pot as a tax-free cash lump sum. You can take the tax-free cash in one go or spread it over a number of years. This can be a good option for people that want to pay off a mortgage, make a trip of a lifetime, reduce their working hours or maybe help their children to get their first steps onto the property ladder. If you are taking a tax-free cash lump sum then you should note that this will reduce the income you will receive from your pension in later life. This is one of the biggest benefits of paying into a pension. For every £80 you pay in, the government gives an extra £20 in tax relief if you’re a basic rate payer, boosting your contribution to £100. If you’re a higher or additional rate taxpayer, you should be able to claim even more tax relief through your self-assessment tax return. The annual allowance is the limit to how much you can contribute into a pension each year while still receiving tax relief. The annual allowance for most people is £40,000. However, for those with total income in excess of £150,000 p.a. the annual allowance can drop to as low as £10,000. To many people don’t realise just how much money they will need to retire comfortably. It’s understandable that saving for more immediate things (like a property, a car, or holidays) will take priority, but if you’re late to the game, you will then need to put aside a larger sum each month to achieve a meaningful income in retirement. It makes sense to review your pension planning regularly, and getting some professional advice from an Independent Financial Adviser can help you when making financial decisions. Previous Previous post: July’s inflation statistics: another gloomy sign about the UK’s prospects?